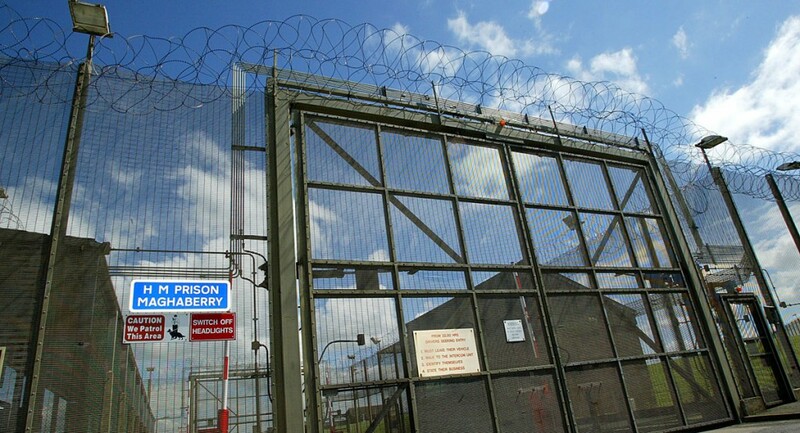 TENSIONS are at an all-time high in Maghaberry prison with families saying a prisoner may be killed amidst claims prison officers are brutalising republicans on the no-wash protest. The warning comes after an allegation that yet another West Belfast man involved in the prison dispute was assaulted by the riot team in the jail. Family and friends of Anthony Rooney, who’s from Twinbrook, say he suffered extensive cuts and bruising to his face and body. The 48-year-old is part of the no-wash protest in the republican Roe House wing in a dispute over conditions at the Co Antrim jail. Earlier in the summer, Ballymurphy man Harry Fitzsimmons suffered a suspected cracked rib as well as cuts and bruising to his face and body after he was allegedly beaten by the riot squad. More recently, tensions were heightened at the refusal to release seriously ill prisoner Brendan Lillis, who’s now receiving treatment at the City Hospital. Anthony’s family told the Andersonstown News that the father-of-four did nothing to provoke the attack and they have called for the removal of the officer they claim is at the centre of the assaults. “They were searching my husband in the corridor and because they were rough, Anthony tried to fix his t-shirt from gathering around his neck, when he did, he was grabbed by the throat and flung to the floor,” Anthony’s wife Sarah said. She went on to describe tactics used by one officer – tactics which mirror the abuse meted out to Harry Fitzsimmons. It wasn’t until Saturday that the Rooney family got to see Anthony. Sarah says the family has made complaints about one officer in particular. “Something has to be done about what happened to my husband, he is being victimised, they have even separated him from the other protesting prisoners. They are trying to break him,” she said. A Prisons spokeswoman said a complaint about the alleged assault is currently under consideration. “The Northern Ireland Prison Service is aware of a complaint made by Mr Rooney and that complaint is currently under investigation,” she said. Who’ll give a leg-up to those young Protestants?